The escalation of the migration crisis has received a sustained focus from traditional journalism media, offering the public continuous angles on personal journeys, political responses and repeatedly refreshed facts and figures. The social sciences also responded relatively fast for academia with £1million in emergency grants being given to various empirical studies in an attempt to understand the present and inform future policy. There have also been elucidating responses from the field of design, interpreting the big data of population flows into tangible infographics. If the infographic has the ability to zoom out above the Anthropocene, to distill and display, then the artist is the medium for society to zoom in and portray a sense of truth and understanding amongst so many stories. The most ready artist to respond to the unfolding migrant narrative from Syria to Europe's periphery has been the documentarian: a breed of filmmakers more accustomed to travelling the globe in search of human stories and now witnessing tragic lives arrive on home territory. Award winning films such as Morganne Knibbe’s Those Who Feel The Fire Burning (2014), Gianfranco Rosi’s Berlin Golden Bear winner Fire At Sea (2016) and Moritz Siebert & Estephan Wagner, Abou Bakar Sidibé’s Those Who Jump (2016) have been some of the first stories to gain attention on the film festival scene. Besides sharing an oddly common nomenclature, each work shows highly cinematic and poetic representation of the fire in those at the heart of the crisis. In news reports, the migrant body is most commonly presented as an invading threat or a passive victim in need of charity, given little heard from them and filmed at a distance in fleeting moments. These quite typical traits are means of presenting the subject as an ‘other’, rather than attempting to build bridges for understanding. This criticism is fuel for those calling for new forms of visual journalism to stylistically and technically advance the viewer’s immersion in the life of people directly affected by the stories being told. A series of recent reports and talks have suggested that in the near future, the technology of Virtual Reality (VR) will become the new empathy machine, almost literally putting the viewer into the shoes of those affected by “the news”. Director and innovator Chris Milk already transported attendees of the World Economic Forum in Davos into the three-dimensional world of a 12-year-old Syrian refugee named Sidra in the Za’atari camp in Jordan. For now, it seems that the simple shock of new ways to be transported to a place viscerally affects the viewer but, as this novelty wears off, documentary VR makers will have to return to ethical questions being addressed by filmmakers today – who controls the image creation and its distribution? How do we show responsibility in the image? How do we show understanding and an unfolding story beyond what is immediately visible? The idea that the role of VR art will be to allow the few privileged and powerful to experience the unmediated conditions of others is an imbalanced point of view. If a single image of a drowned three-year-old face down on a beach does not do enough to evoke emotional attachment to a tragic circumstance then the problem is possibly with the viewer not the technology of mediation. The art of documentary cinema, often referred to in the late Roger Ebert’s terms as “the empathy machine” that can bring about most immediate public change in attitudes, tells the story of subjects and voices underserved by traditional media outlets. Being the storyteller of marginalised people, however, comes with a sense of moral responsibility that can be lost in the Director’s ambition to make a good film. A new wave of documentary filmmakers has adopted creative strategies to embrace this responsibility by becoming facilitators, collaborators and mediators as well as artists. The question of representing marginalised subjects of “The New Periphery” is the focus of a new documentary film festival at London’s Institute of Contemporary Arts this April. The eight featured films offer an aesthetic and ethical journey to the edges of the contemporary Anthropocene; from the politically disenchanted of America's deep South to the industrial underbelly of Mongolia, from palatial ruins in Italy to a submerged village in rural Mexico. The Other Side directed by Italian filmmaker Roberto Minervini frames tender and disturbing scenes of society in Louisiana. A portrait of drug addicts and a private militia existing at the border between anarchy and illegality. The region is familiar to Minervini following his similarly intimate trilogy of Texas-based films (The Passage, Low Tide, Stop the Pounding Heart). Minervini’s documentary craft is not a straight-forward observation of his subject but a method of mutual story building and telling. It involves morning consultations with his lead subjects, to assess the previous day’s events and consider how the filmed story is progressing - allowing the subject to reflect upon the narrative journey of their own lives and the film in which they play themselves. The notion of inclusive representation through long form film or virtual reality experience safeguarding against over exploitation might be both financially and temporally difficult for news media to adopt, but daily journalism could periodically replace regular reporting formats with topical and artful deployment of these empathy machines. The film season also includes a new film from Zhao Liang, a filmmaker best known for Petition (2009) and Crime and Punishment (2007): covert political critiques of the drudgery of Chinese domestic authorities. In Behemoth (2015) Liang leaves the walls of urban bureaucracy to direct a wide camera lens at the industrial destruction of inner Mongolia landscapes and lives. The tone of the film is one of lament and poetic condemnation, smoother in both images and rebellious anger evident in his earlier works. Behemoth is a lingering portrait of a dystopian periphery: a close-up on human faces inhabiting the mines that power Chinese industry. The loss of angst in this work, perhaps portrays a loss of hope from the filmmaker, having spent years bearing witness to the crushing stories of suppressed proletariats in his previous works. BEHEMOTH (2015) by Zhao Liang [excerpt] from Richard Lormand on Vimeo. Feelings of nostalgia and mythical landscapes are also present in Pietro Marcello’s Lost and Beautiful. The film began its life in the wilds of Southern Italy as a portrait of Tommasso Cestrone, a shepherd who voluntarily maintained a decaying 18th-century Royal Palace in spite of threats from local Mafia and non-existent financial support from the government. 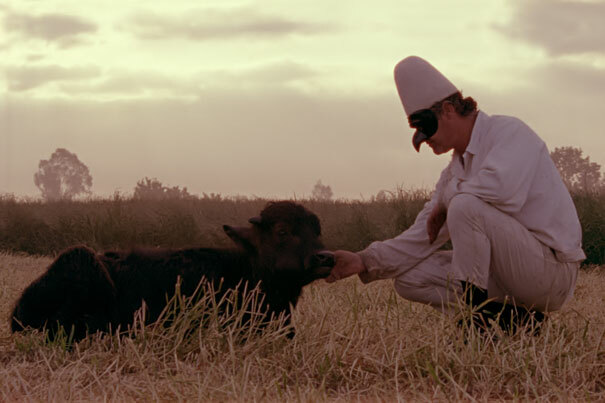 After Cestrone’s sudden death the film took a magical turn, combining local mythology and a talking bull as brush strokes in a painting of political and economic turmoil of modern Italy. Each of the eight films featured in the Frames of Representation programme address the fraught responsibility of representing marginalised subjects sometimes through direct collaboration, sometimes through a poetic or philosophical distance; sometimes to mixed results, but in all cases with a creative respect.